← Is Sunday School Doomed? Yes, it is a gimmick. But it is a gimmick that works. When creating a strategic plan, I always encourage congregations to include one or two highly visible changes that they can accomplish in a matter of one or two months. I call these quick wins. In many congregations, things remain the same for years, even decades. At least to the naked eye, nothing changes. In some ways this is good. No change represents stability needed in an unstable world. 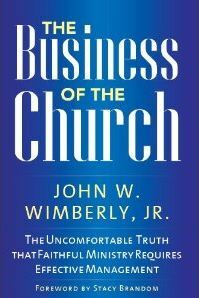 However, when a congregation’s basic metrics and ministry model are in decline, slightly or dramatically, members usually interpret a lack of change as a sign that their congregation is headed in a bad direction, with no effort at a mid-course correction. A quick win undermines the doubters who think a strategic plan will not succeed. In a matter of weeks to months, they see something accomplished. A quick win encourages teams working on longer term strategies. They see another team’s success and think, “Wow, they did it. We can also do it!” Equally important, a quick win encourages the entire membership that maybe change is, in fact, going to happen this time around. Fresh out of seminary, I went to work as an assistant pastor for evangelism at a Presbyterian congregation in Houston, Texas. When I arrived, people raved about Head of Staff Maynard Smith’s problem-solving abilities. Many were the members who told me, “Maynard fixed the chair problem.” It struck me as odd. My ministry idealism unbridled, I sought to change the world. Maynard had changed the chairs! The St. John’s campus had four buildings built around a courtyard. One of the buildings was the original sanctuary transformed into a fellowship hall. But the hall had no chairs. So every time there was an event in the hall, members had to move chairs from the other three buildings and then move them back when the event ended. Maynard arrived as the new pastor and heard constant murmuring (a la Moses’ people) about the chair situation. He took out his personal checkbook and wrote a check to buy a bunch of chairs for the Fellowship Hall. By the time I arrived six years later, people were still raving about Maynard’s brilliance, action-orientation, etc. His ministry started with a quick win and stayed strong for twenty years. Moses led his people to the Promised Land but in the eyes of the members of St. John’s Presbyterian Church in Houston I’m not sure it was any more significant than what Maynard did. Putting display monitors in the narthex and office entrance to the church with rotating images of the congregation and its ministry, daily calendar, and Scripture quotations. Creating a new mission opportunity such as teams to work with the homeless, abused women, or at-risk children. Recruiting new, younger faces to be liturgists and ushers. Replacing a cranky piece of kitchen equipment that irritates people every time they have to use the church kitchen. Putting better signage outside the church. Instituting a new format for the weekly e-blast—or starting a weekly e-blast where it doesn’t exist. While none of these strategies will change the world or even the immediate direction of the congregation’s ministry, they will change something very important. They re-establish, in the minds of the members, that change is possible. We live in a time when people appear to doubt the possibility of change. Nonetheless, in their heart of hearts, they believe change can happen. Note the popularity of candidates in the Republican and Democratic primaries who promise to break through governmental gridlock to generate change. 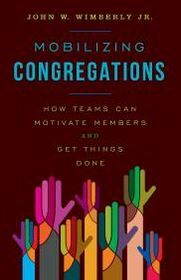 If congregations are to thrive, we must be perceived as agents capable of generating change. As congregational leaders, we need to look for changes large and small, short-term and long-term that improve our ability to speak and minister to the hearts and minds of our members and the world. A few short term “wins” can give us almost instant credibility as change agents. It is worth a try. This entry was posted in congregation, Uncategorized and tagged church growth, evangelism, strategic planning. Bookmark the permalink.